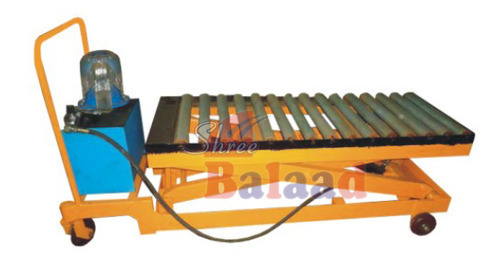 We are a leading Manufacturer of manual lift table with wheel, die loader- roller lift table, electric lift table with wheels, pit mounted lift table, high rise lift table and stainless steel lift table from Ahmedabad, India. Load Capacity 500 to 5000 kgs. 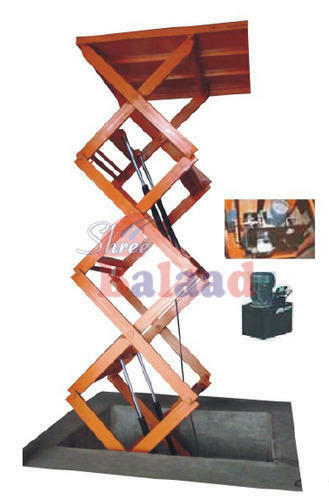 We are offering a wide assortment of finest quality Manual Lift Table With Wheel. 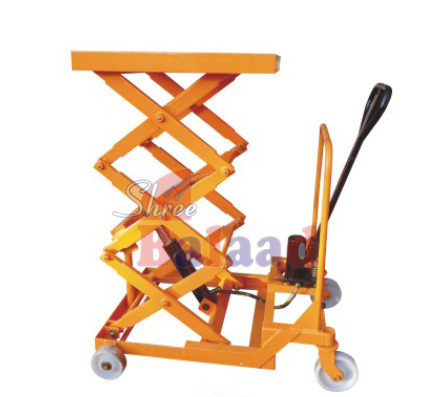 Our range of Manual Lift Table With Wheel is made as per industrial standards therefore it is used in numerous industries. 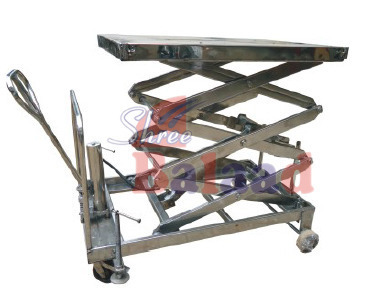 We are devotedly engaged in offering wide assortment of Electric Lift Table With Wheels. Load Capacity 500 to 15000 kgs. By utilizing skills of our dexterous workforce, we are manufacturing a comprehensive assortment of Pit Mounted Lift Table. Load Capacity 500 to 3000 kgs. Capacity 500 to 3000 kgs. We are dedicatedly engaged in providing a large assortment of High Rise Lift Table. Capacity 500 to 5000 kgs. Owing to the years of industrial experience, we have been able to serve our valued clients with a wide range of Stainless Steel Lift Table. Made in S.S. 304 specialy for pharma , foods & chemicals ind. 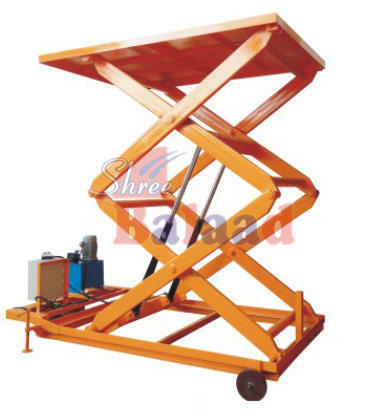 Looking for “Hydraulic Lift Table”?